Acupuncture is a treatment that stimulates the body to heal itself naturally and improve functioning. 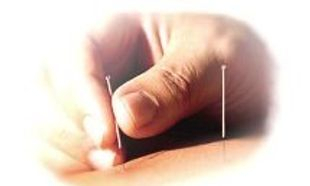 This is done by inserting very thin needles at precise acupuncture points. Two very different theories exist as to how acupuncture works. The classical Chinese explanation is that channels of energy run in regular patterns through the body and over its surface. These channels, called meridians, are like rivers flowing through the body to irrigate and nourish the tissues, blood flow and nervous pulses also follow meridians to run through the body to various parts, structures and organs. An obstruction in the movement of these energy rivers are like a dam that backs up the flow in one part of the body and restricts it in others. Any obstruction and blockages or deficiencies of energy, blood and nervous pulses would eventually lead to disease. Needling the acupuncture points can influence the meridians: the acupuncture needles unblock the obstruction at the dams, and reestablish the regular flow through the meridians. Acupuncture treatments can therefore help the body's internal organs to correct imbalances in their digestion, absorption, and energy production activities, and in the circulation of their energy through the meridians, and thus the health brought back to the body. The modern scientific explanation is that needling the acupuncture points stimulates the release of chemicals in the muscles, spinal cord, and brain. These chemicals will either change the experience of pain, or they will trigger the release of other chemicals and hormones which influence the body's own internal regulating system. This overall improvement of energy and biochemical balancing results in stimulating the body's natural healing abilities, and in promoting physical and emotional well-being.